Oh, Adele. The burp has blown up on Twitter, seemingly confirming to fans that Adele is the celebrity they could most see themselves being BFFs with. The whole thing is made funnier by the fact that the hilarious incident took place at England's Glastonbury, a festival Adele clearly takes seriously. "Glastonbury means the world to me," the star told the audience while on-stage. "I’ve always wanted to do this my whole life, but I was too scared.” Adele even changed one of her lyrics to "I've been Glastonbury dreaming" to show just how much the show means to her. The fact that the concert was so important to Adele, though, just makes it even funnier that she burped on stage, and Maria will undoubtedly treasure the spontaneous moment for years to come. 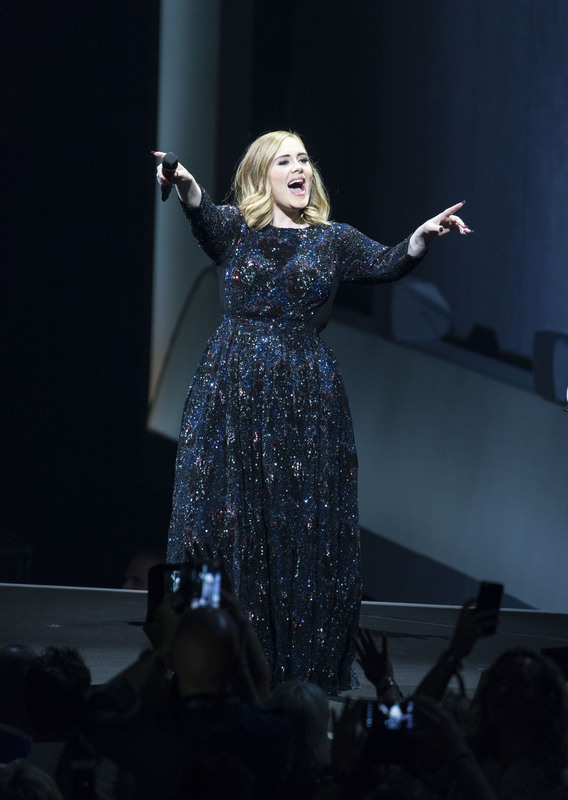 Leading up to the festival, there had been some controversy surrounding Adele's headline appearance, with the BBC reporting that some thought she was too boring to be a main attraction. Adele did not let the haters get her down one bit, though. "I'm actually more excited than I was now," she said at a London concert, as reported by Metro. "All those rock and punk fans have been having a moan that I'm doing it and I'm like: You're going to get dragged along by your wife, so just deal with it. To be honest, those people moaning about it, I've probably been more times than them anyway, so shut up." Perhaps burping (and owning up to it) on stage will prove to those haters that Adele isn't so dull after all. The singer's true fans likely weren't surprised by her behavior at the festival, however. Adele has always been willing to show that beneath her powerful voice and soulful lyrics, she has a dirty sense of humor and the ability to never take herself too seriously. At Glastonbury, she reportedly swore 33 times during the hour and a half she performed, in addition to letting out the burp heard 'round the world. Adele may be many things, but she's definitely not boring.